Free Delivery Estimated delivery within 10 - 15 working days (subject to postcode and holiday closure). This beautiful four poster bed from the Juliette range is just one of a kind. 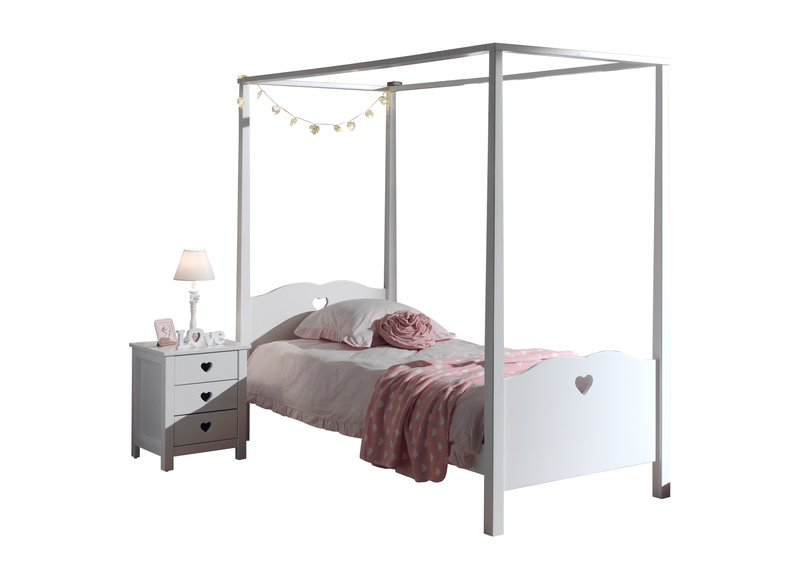 With it’s pretty white and pink curtains and heart detailing on both bed ends it really is perfect for any princess. 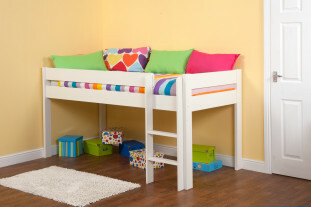 Manufactured from a solid MDF and Pine this bed is sturdy and timeless which will last throughout the years to come. Matching furniture available.